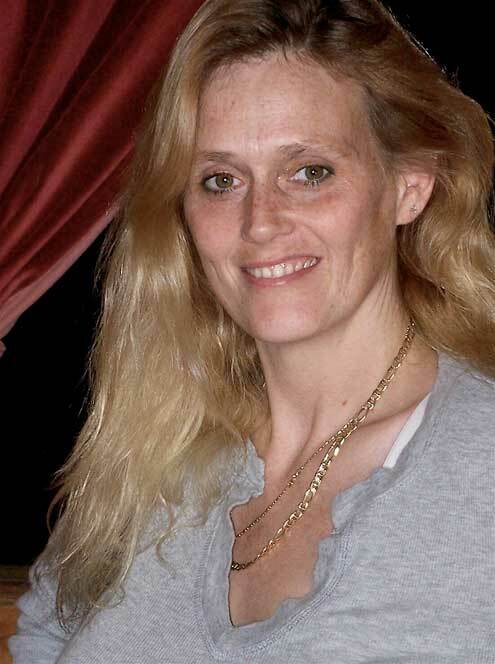 Seeva Marie Cherms, 42, daughter of Linda Sturdivant of Inverness Park, was found dead in her Grass Valley home Friday. She had apparently died three or four days earlier. 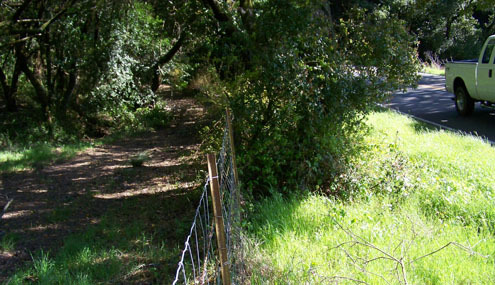 Ms. Cherms had spent considerable time in West Marin, visiting and working with her mother in housecleaning jobs. She lived here twice. 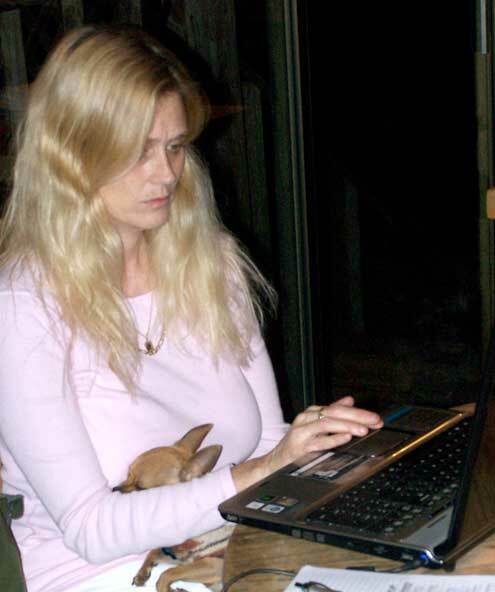 Seeva Cherms — with her chihuahua named Barely on her lap — working on the unsuccessful Hemp and Health Initiative, which would have decriminalized marijuana growing, transportation, and recreational use. She was perhaps best known for her political work on California’s 2008 Hemp and Health Initiative, which she took part in writing, along with and the late pot activist Jack Herer. For part of her childhood, Ms. Cherms lived in Venice Beach, where at the age of 12 she became an avid listener when Herer publicly preached his doctrine of marijuana, Ms. Sturdivant said. Because of her involvement in marijuana politics and her 30-year acquaintanceship with Herer, “she always wanted to write a book,” her mother added. Ms. Cherms leaves a brother Anthony Owens of Oakland; two daughters, Haley, 23, who is married, and Summer Raine, 13; and her husband Steven Cherms, all of Oroville. Born in Sacramento on June 6, 1968, Ms. Cherms had an often-difficult life. Her father was killed in Mexico shortly after her birth, Ms. Sturdivant said. In 2005, Ms. Cherms and her husband Steven were violently mugged by gang members in Sacramento. Mr. Cherms lost part of his vision while she received a broken jaw and suffered emotional trauma. The culprits were identified, and the following year, several members of the gang were sentenced to prison, one for more than 22 years, Ms. Sturdivant added. 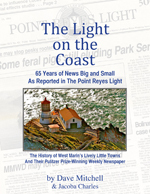 Ms. Cherms’ West Marin friends and relatives will hold a memorial for her in Point Reyes Station in the near future. Ms. Sturdivant said nothing else is needed but people’s prayers. 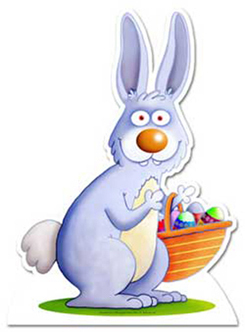 What does the Easter Bunny have to do with Jesus’ resurrection? Easter will be celebrated on Sunday, making this an appropriate time to ask: do you know where the word comes from? Easter is never mentioned in the Bible. In fact, Easter as we know it originated in the pagan world. This story begins with Gregory the Great (at right), who was pope from 590 to 604. At the time, England was populated by pagan Anglo-Saxons, and this prompted Pope Gregory to send a mission to England to convert them to Catholicism. 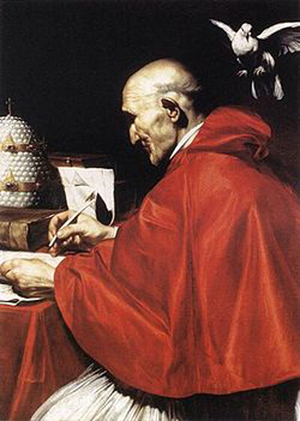 The conversions would be easier, Pope Gregory wrote Archbishop Mellitus, if those being converted were allowed to retain their pagan traditions. They would simply be told that their rituals, in fact, honored the Christian God. Among the “gratifications” permitted were Easter festivities, which had been a pagan celebration of spring. Because the actual date of Jesus’ death is unknown, the missionaries could tell the Anglo-Saxons that their spring celebration should go on as always but to understand it was really all about Jesus’ resurrection. This redirecting of traditions was so successful that the church then used it to convert pagans in the Netherlands and Germany. 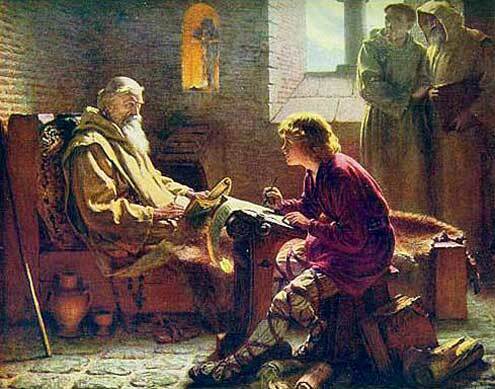 The Venerable Bede is responsible for our knowing the origin of the word Easter. A Christian scholar, the Venerable Bede (672-735), a century later wrote that Easter took its name from Eostre, also known as Eastre. Eostre (at right) was the Great Mother Goddess of the Saxon people in Northern Europe. 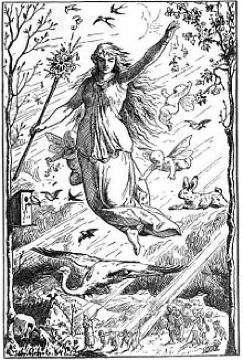 Similarly, some of the Teutonic names for the goddess of dawn and fertility were Ostare, Ostara, Ostern, Eostra, Eostre, Eostur, Eastra, and Eastur. Since ancient times, spring has been seen as a time of fertility, so it was not surprising that among the pagan symbols of the season were rabbits (because large litters are born in early spring) and decorated eggs (because wild birds lay eggs in spring). Bizarrely, these pagan symbols became so intertwined that Easter Bunnies ended up distributing Easter Eggs. And so it was that in this roundabout way Pope Gregory I unintentionally helped bring about a goofy bunny’s becoming associated with…. 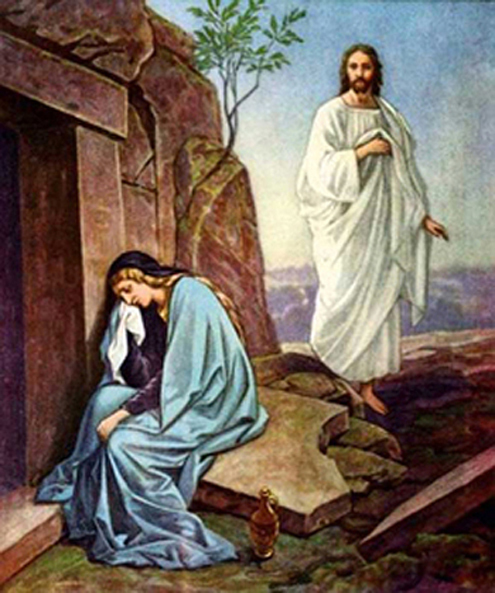 The resurrection of Jesus, who is seen appearing to Mary Magdalene as she weeps outside his tomb. 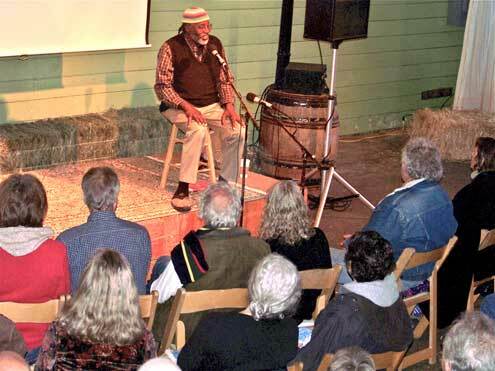 Former West Marin resident John Francis returned to Point Reyes Station Saturday to give a talk in Toby’s Feed Barn on what a 17-year vow of silence taught him about listening. For 22 years, John also refused to ride in motorized vehicles (largely as a reaction to a humongous oil spill at the Golden Gate). During that time, John walked across the United States. Along the way, he earned a master’s degree in Environmental Studies from the University of Montana and a doctorate in Land Resources — with a specialty in oil spills —from the University of Wisconsin. John, who now lives in Cape May, NJ, strums his banjo on all his treks — even while hiking from one Indian village to another in the jungles of the Amazon. Not surprisingly, he starts all his talks with banjo music. 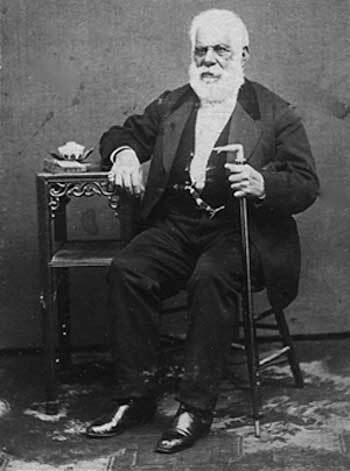 Traveling one step at a time gave John the opportunity to observe the environment of plants and animals, as well as humans. The insight he gained led him to create in 1982 an educational nonprofit called Planetwalk. 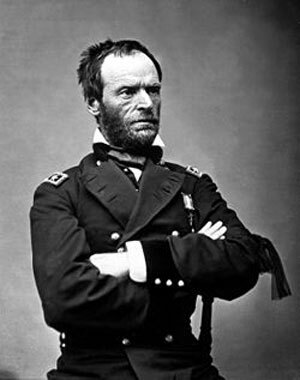 His adventures have also resulted in a book titled Planetwalker, which was published by The National Geographic in 2008. Sales of the book during Friday’s talk benefited the Planetwalk organization. 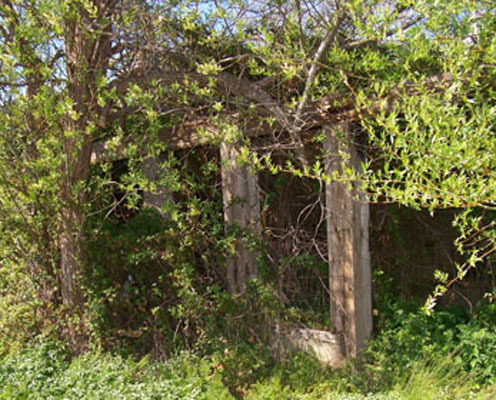 Last week’s posting on West Marin history noted that this wooden structure mostly hidden by foliage was once the base for a water tower. 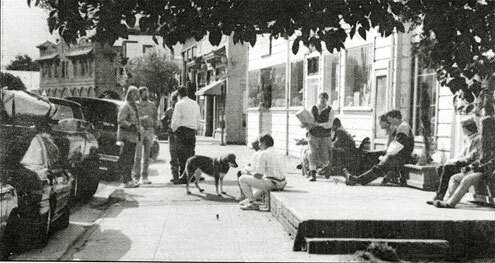 Photo by M. B. Boissevain courtesy of the Jack Mason Museum of West Marin History. 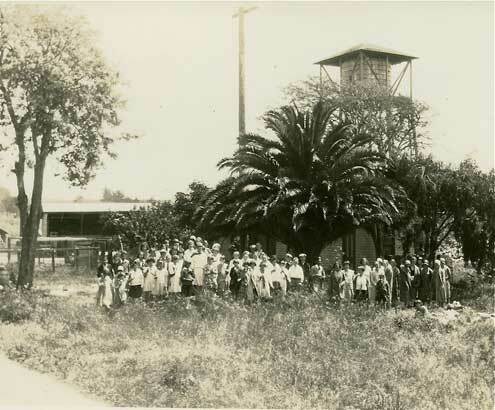 On Monday, historian Dewey Livingston of Inverness sent over this photo from 1930 so you can get an idea of what the water tower once looked like. In the foreground are 4-H Achievement Day participants. 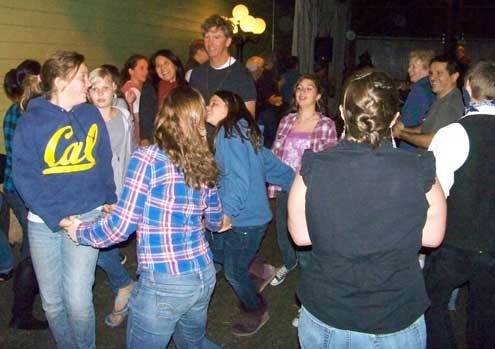 A barn dance in Toby’s Feed Barn March 2 helped raise funds for a commons in Point Reyes Station, as well as the Latino Photography Project. The commons project had been championed by Jonathan Rowe, who died unexpectedly March 20 at the age of 65. During a break in the dancing, Mr. Rowe’s son Joshua Espulgar-Rowe read a statement about his father, describing his life and thanking those who showed up for the event. It would be a difficult for anybody to publicly read a memorial to a parent yet Joshua carried himself as a man despite being only eight years old. 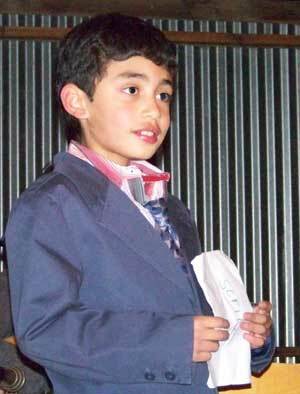 Joshua’s mother Mary Jean Espulgar-Rowe, who was born in the Philippines, was not on hand. Elizabeth Barnet, who co-founded the commons project with Mr. Rowe, has been acting as the family’s liaison to the community and sat nearby while Joshua spoke. Contributions to support Jonathan’s family or help pay for Joshua’s college education (please note which) can be sent to a newly established account, 5561290361, at Wells Fargo Bank, 11400 Highway 1, Point Reyes Station CA 94956. Make checks payable to Mary Jean Espulgar-Rowe. Tax-deductible contributions in memory of Jonathan may be sent to West Marin Commons/Town Commons Project. 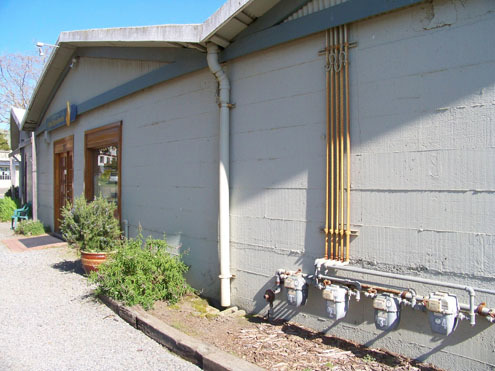 The address is the West Marin Fund, Box 127, Point Reyes Station CA 94956. 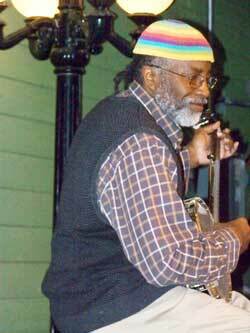 A memorial for Mr. Rowe is planned for 11 a.m. Sunday, May 22, at the Town Commons in Point Reyes Station. A parallel memorial, organized by Jonathan’s friends at On the Commons, will take place in Minneapolis on the same day. Sparsely Sage and Timely is powered by	WordPress 4.9.10 and delivered to you in 1.050 seconds using 51 queries.